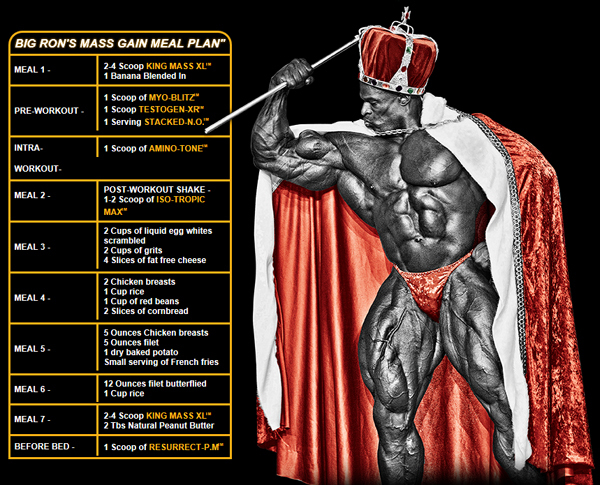 In order for your muscles to grow you need to supply them with enough protein to get the job done. 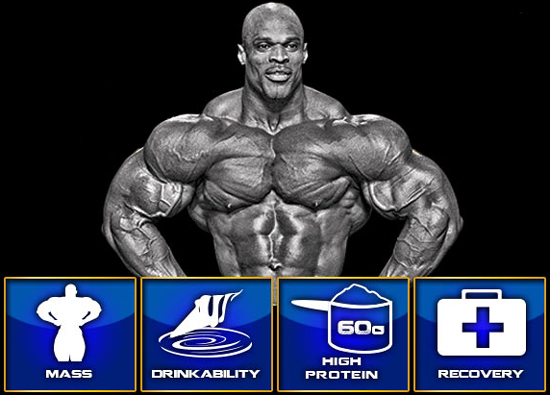 Ronnie King Mass XL™ packs a massive 60g of protein per serving to help keep your muscles fed and in an anabolic state. Getting all of the quality calories you need in one shake without being able to slug it down just doesn't cut it. The Ronnie King Mass XL™ flavor system delivers a milkshake taste with seamless mix-ability every time making slamming down your shake a treat not a chore. Making the scale go up is all about taking in more calories than you bum but it's also important to get the right kind of calories. Ronnie King Mass XL™ hits you with 1000 "growth accelerating" calories per serving providing 60g of quality protein 180g of carbs (only 25 sugars) & healthy fats. 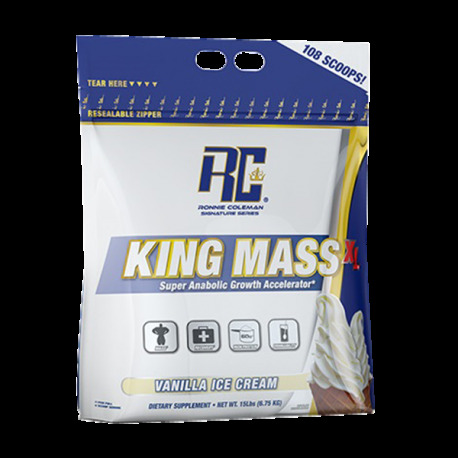 In your pursuit of king sized mass you will be hitting the iron like a beast that means you will need king sized recovery. Flooding your muscles with the protein, carbs, glutamine & creatine in Ronnie King Mass XL™ may support your insulin response leading to more glycogen storage and recovery preparing you for your next brutal workout. Suggested Use: Consume 1-1.5 grams of protein per pound of body weight through a combination of KING MASS XL™, high protein foods, and other whole food calorie sources. It is best to consume your protein intake over several smaller meals spread out evenly throughout the day. 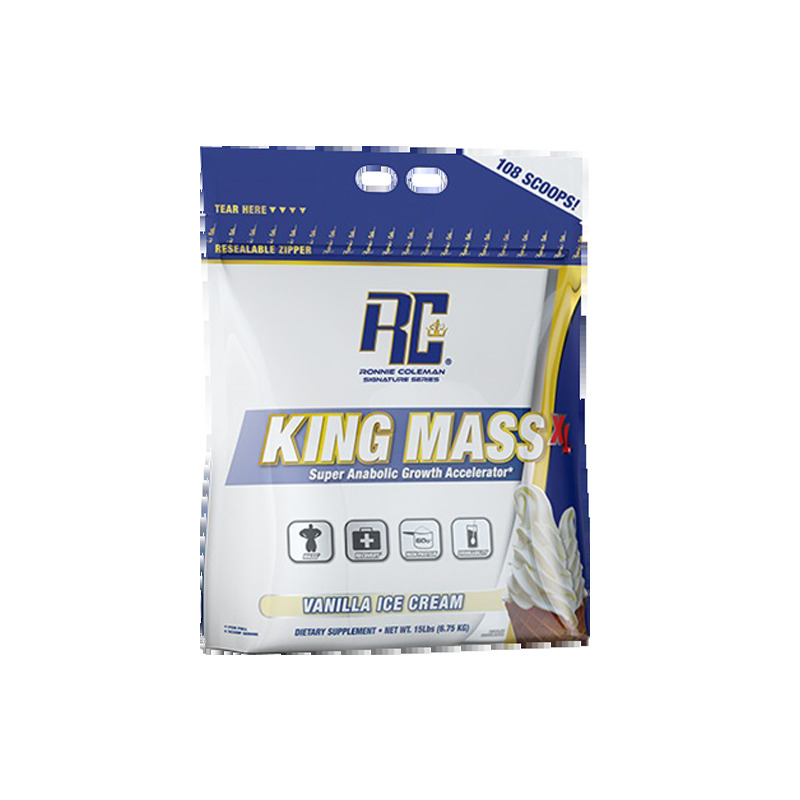 For optimal results, KING MASS XL™ should be used in conjunction with a weight training program along with proper rest under the supervision of a professional. Multi-Functional Protein! Dual Carbohydrate Sources!